Shell after shell of UNSC Artillery rained down on the Covenant lines. Droa knew this was a difficult mission, but he never expected this. The UNSC had managed to route his troops into a small area, and due to the arrival of a massive fleet, orbital support was cut off. Droa's troops set up a area of control and waited for the promised reinforcements. This was the first time the Covenant was ever on the defensive side of a battle. Droa knew this time he had to use all of his command ability in order to survive. Due to the time it took for the UNSC to gather it's troops, Droa's combat engineers had manage to dig up trenches and set up good foxholes. His artillery pieces were set set up and his vehicles and ground support aircraft were prepared. The UNSC was preparing to eradicate the Covenant presence on this planet, but Droa would see to it that this did not happen. All his troops were prepared for the battle, and they were prepared to show the humans that Droa's army was just as destructive offensive as they were defensive. "Here they come General!" shouted a Kig-yar Ranger. "All troops. This is General Falumee. I know this is a first for you. Us on the defensive. Well we will be like a wall. They will wither before our might and die before our lines. You will show no mercy! You will show no fear! You will make your species proud!" In unison all of his troops screamed "URRRRRRRRRRRRAAAAAAAAAAAAAA!!!!!!!!!!!" and opened fire. While they took aim, it dd not matter, as the sheer volume of fire did it's job. The humans launched massive amounts of troops to kill them. Hornets and Hawks raced to provide support. Cobra's, Scorpion's, Warthog's, and even Mongooses filled the army. And huge amounts of Infantry raced along with them. Droa decided it was time to meet them in the field. "All artillery, begin your bombardment." With this order, the huge guns began to fire. Shells screamed over Droa's head. "Banshee's and Vampires, focus on the light vehicles and aircraft!". "Acknowledged Commander." "All Armor, focus on your equals. And Infantry, charge the enemy." Droa then stepped out of his trench and charged. His men followed suit. It was time to see who would win this fight. OOC: Does this happen after the Infiltration , or before it? 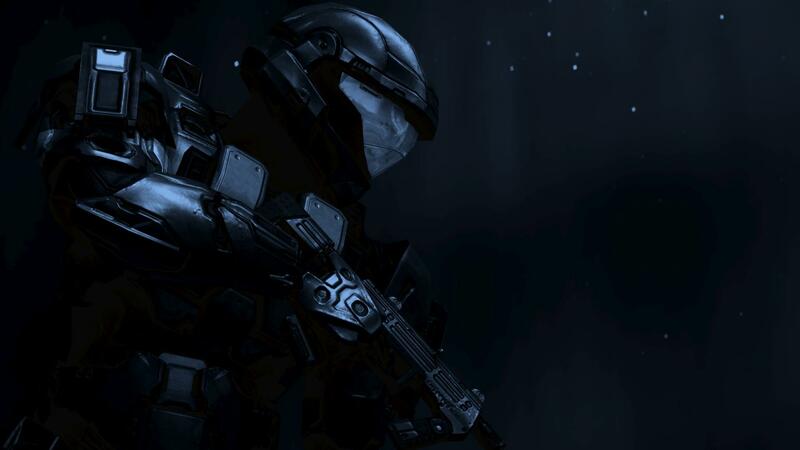 Spartan-135 stood at the bridge of UNSC Archangel, watching Longswords patrolling the permitter around the ship. The view was beutifull execpt for the battle that was raging on the planets surface and the Covenant Reverence-class Cruiser that just jumped out of slipspace. Nathan watched as the cruiser stopped and turned towards the closest UNSC frigate and engaged it. The Spartan knew that the frigate had no chance of winning alone. "The Covenant cruiser is destroyed by UNSC Achilles. Achilles destroyed it by launching a FENRIS Nuclear Warhead. Achilles was too close and was destroyed by the blast" Nathan looked at the wrecke from the battle. Horrible, just horrible. "Who was the captain on that ship, Chloe?" The Ships AI, Chloe appeared from on of the hologramm stations. "It was Jackson, Sir. Been in control of that ship about 2 months" Chloe said with cold voice that had no emotions in it. Wallace managed a faint smile. "So young... well anyway, I apologize for that Spartan. We´v been holding the assault on that planet for about three weeks and allready lost dozens of ships and Longswords" Captain said and Nathan could hear exhaustion in his voice. The Captain had stayied up about two days, with little or no sleep at all. "Good to have you here, Spartan, but we need you on the planet. Take the next pelican down on the planet." Wallace said and closed his eyes for a moment. Nathan turned around and started walking towards the hangar. "Oh, Spartan, kill few of those bastards for us too." Captain said after the Spartan had allready gone and turned back towards the bridges starpot view.. It took about twenty minutes for the Spartan to get a MA5K Carbine, rocket launcher and a free Pelican. "Wow a real spartan" Young private whispered to another private. "Yeah, the Covenant dosen´t have a chance against him, right?" "We are taking off now, hang on thight" Pilot called. "Arriving to the Planets surface in 5 minutes" The Privates kept chatting troughtout the flight. What ever as long as they wont chat on the battlefield, Nathan thought and looked out of the troop bay. Dead bodies. All around him... Destroyed vecicles, Scoprions, Mongooses and ´Hogs. All this destruction and death for... what?! Nathan didn´t know that yet, but it must be a damn good reason to cover all this death. "Coming in a little bit hot. You have ten seconds to get out of this Pelican or you will come back to the ship, understood?" The Spartan rose from the seat and jumped out of the pelican. Allmost immidietly there was a loud bang when the Pelican exploded. Damn how many more would it take to conquer this planet. Nathan rolled behind a destroyed ´Hog and threw a granade at the pack of grunts. Loud whoop and the Spartan ran from his cover towrds, still functional, Scoprion, shooting as he went. "Spartan-135, do you read me ?" Cold female voice asked. "Yes, Chloe what is it?" Nathan asked barely hearing his voice over the raging battle. "You have a new mission, kill the Elite general in charge of these defences, over" Chloe ended. The Spartan sighed this ain´t going to be easy. I was thinking to myself why did I not just take the shot and kill that damn elite...."Gear up im not letting that elite slip by me this time... if i see him.... HES MINE!!!" I screamed. "Sir this is as close as i can get..." said the pilot. Right as he said that me and my squad sprinted off into the battle field. "here we go." he said. he was on a frigate about to exit in a modified hornet. it was surpriseing how much spare time he had to mod his stuff. usally a hornet would be destroyed in space, but the hanger he was in was just barley in the atmosphere. he started it up and exited. "spartan 342 out of hanger, clear for takeoff, get the heck out of here you wont last long." he said. he could here it go away. he was closing in the planet fast. "this is gonna be fun." he said. OOC:Hey I'm gonna hop in. Zuka paced around his small suite impatiently. His weapons lay on a low table, scuffed and battle marked but otherwise functional. His armor similarly, lay in pieces on his bunk. Zuka had spent the last night meticulously cleaning and polishing the iridescent metal until it glowed with a brilliant sheen. He believed that as a leader, he must look glorious, proud and unafraid of identifying himself as leader. For if one is not willing to suffer as much pain as their subjects, then they are not fit to lead. In that aspect the prophets had failed. A sudden shift in gravity interrupted Zuka's train of thought. In a split second, everything returned to normal again. "Ships!" He cursed. Zuka never liked ships even though he was qualified to command one, he preferred to keep his feet on solid ground. "All hands to battle stations! Ground units form up we are approaching the planet." A voice blared over the ship's speakers. At last! A chance to get his feet onto solid ground and actually do something instead of sitting in his suite. Grabbing his weapons and donning his armor, Zuka rushed to his drop pod. There was blood to be had and he wasn't about to miss out. Ooc: Can`t you just make a new rp for the spin-off and let this be what it is? OOC: Still on an Ice Planet? Droa decided it was time to test out one of his new inventions. Many in the Covenant did not want to tamper with Forerunner tech. But he decided that he would break this code. On the planet Jericho VII, he recovered some data from a public library. It was not useful to the Covenant, but it contained past ideas and designs for weapons and vehicles. Droa took the ideas and re purposed them for his army. His new vehicle was as much a terror weapon as it was a infantry and building killer. He had yet to decide on a name, but he decided to codename it 'Devils Tongue'. Essentially, it was a flattened Wraith with extended sides for the tanks and a single flame projector on top. Droa was about to put it through its paces. He climbed into the drivers seat, which also controlled the cannon. He fired it up, and turned the fire control system on. He drove the Flame Tank out of the trench and aimed for a cluster of marines. Droa smiled and fired a small burst. A blue-green flame spurt out and skipped along the field until it hit the marines. The nearly 2000 C heat killed them instantly, and turned them to ash. Droa was pleased. His first invention was a success. However, Droa was not finished. He ordered his troops to quickly construct a tank bunker so he could encamp his new toy. Now he was about to call in his old project. Droa was always fascinated with human computers, and he used a captured AI core for his new test. He tampered with a new computer that was not a true AI but could act on its own. With the help of a few other Sangheili and a Huragok, he had completed a new weapon system. He called it a Spider. It was worse than he could have guessed. The Spider, or the Terror Drone, is a computerized Drone with only one goal. Find any hostile target and bore into it, whether it be human or a vehicle. Sitting on eight legs and moving at a brisk pace, its speed and lethality make up for its light armor. its main weapon is a pair of reinforced claws that can tear up any material that it encounters, including steel and flesh. The humans were in for a nasty shock. For the first time, even a small section of the Covenant was about to switch from being imitative, to innovative. "Dropship 514, drop the payload." Droa yelled over his intercom as he was parking his tank into a bunker. A young Uggnoy pilot received the order. "Roger sir. The payload will arrive in 5 seconds." The Uggnoy had seen the Terror Drones and was relieved to vacated them form his ship. Their eyes seemed to follow him, as if they wanted him. The pilot passed over a group of humans and released the Spiders. At first the humans were shocked at these seemingly fragile walkers. Then instinct told them to run. It did not matter, as their fates were sealed. The Drone combat programs activated and they found the marines. Both started to move at once, then they lept into the air, and landed on the marines. They used their pincers to claw inside their chest and rip vital organs out. They died instantly. A Scorpion, who watched the carnage, fired one round and hit the first drone, which exploded into a brilliant flame. The second one felt nothing, but it jumped for the tank. The pilot tried to get off a second shot, but could not. The Spider used its claws to first rip out the components to the engine, then to rip off the cannon. Finally it ripped off the cover for the pilot and it killed him. Droa watched in astonishment. He never expected his Spiders to do that much damage. He would have to find a factory that could produce them. Nathan inspected the battlefield with his binoculars. The battle was still raging, but it seemed that the Covenant forces were retreating. Not much, but still retreating. The Spartan was just about to rise when something caught his eye, an Elite general in golden armor. Nathan smiled faintly as he signaled one of the marines behind him to give him the sniper rifle. The Spartan clicked the security off, placed the weapon firmly against the ground and took aim. His finger started to squeeze the trigger while holding the aim at the Elite. If he was lucky it wouldn´t take more than two shots to kill this general. His position wasn´t ideal, but it would have to do. There was a silent thump as the bullet buried trough the general´s head. The Elite wavered for few seconds and then fell into one of the trenches. Nathan smiled faintly as he crawled away from the his position onto the waiting `Hog. The ´Hog didn´t even have the chance to start, when something flew from the Covenant´s trenches. Nathan watched as the blue-green colored blob flew trough the air towards his position. The Spartan reacted quickly, yealling orders to the marines around him. "Go, Go, Go!" Nathan yelled, but they didn´t hear him. He just had time to jump away from the Warthog as it and his fireteam got engulfed to flames of the blob. The Spartan raised slowly while watching around him. The thing, what ever it is, sure was effective. It had destroyed his fireteam, marines crouching in the trenches and the Warthog. "Spartan, can you hear me?" Cold female voice asked over the COM. Nathan shaked his head before answering. "Yes, I can hear you Chloe." "Your mission has been a succes, I pressume?" The AI answered with a voice little amused. "You could say that." Nathan replied as he started walking towards one still functional scorpion. "What do you mean Spartan?" Chloe asked, now with a voice completely serious. "The Covenant seems to have a new toy, Chole. It burned my fireteam to cinder." Nathan answered when he arrived at the scorpion, to only notice it empty and destroyed. "Hmm... Interesting, do you got anything else that I should be aware of?" The Spartan quickly took his weapon and clicked the safety off. I´m not here alone, Nathan thought as he sweepped the area with his sight. Nothing. The motion sensor was empty too. Suddenly it binged a target about two meters right. Nathan turned and squeezed the trigger. Three shots rang, but the target didn´t dissapear. So it isn´t an Elite nor an Grunt, the bullets whould have killed ´em. Nathan started backing away from the scorpion, he noticed that something was running towards him. The Spartan aimed and fired, this time hitting his target. It exploded and Nathan´s shield flaired alittle. "Spartan?" Chloe´s voice filled his ears. "Seems that the Covenant has two new machines." Nathan said quietly to the COM. He inspected the remains of the droid that looked like a spider and noticed that it had an own AI, not higly advanced, but still an AI. "Chole I need a dust off, immidietly." Nathan barked to the COM and started running towards one of the hill tops. All the sudden droids started to come out everywhere. And soon Nathan was surrounded. "And please hurry up." The Spartan said and clicked his COM to a open channel. "To any UNSC forces in vicinity, I´m under attack from Covenant prototype weapons. I need assist ASAP." Nathan then closed his COM and prepaired. He needed to hold this position. Droa moved through his trench to find a better marksman position, when he fell to his knees, with a flashback going through his mind. Droa found himself back on the planet Oris. He realized the battle still raged, and he composed himself and moved on. Droa did not know, but he suffered from Post Traumatic Stress Disorder. Most Sangheili would never suffer from it, but the horror aboard that ship simply caused him to snap. Now every time he heard a piercing whistle or cry, he returned to the 'Vector'. He would require something that the Covenant never even had. A mental therapist. Only one other person left that ship. And he was a Spartan. Vader had manged to bring his ship back to his own galaxy, and what Droa assumed abandoned the vessel in deep space. Droa returned to the battle, knowing that he would be haunted. He decided to forget by killing. He spotted a squad of Assault Marines moving onto his trench. Droa aimed down his sight and prepared to take the shot. When the came from cover, Droa fired two shots. Both hit dead center. The two survivors tried to retreat, but a group of Ranger Kig-Yar mopped them up. Droa returned to his command center to plan their withdrawal.